BOOM! Studios has acquired the rights to the Firefly publishing license from Dark Horse Comics and are working on a series of comics about the pivotal war between the Alliance and the Independents, the publisher announced Monday. I was a sci-fi nerd who grew up in Texas, so Firefly’s space western vibe had me from howdy. I also just love the show’s combination of humor and action with honest emotional storytelling. That’s a real sweet spot for me as a fan and a creator, and I’m thrilled to be able to join in on the fun. These characters are a dream to work with—they’re all so well defined and interestingly matched with such great relationships and rivalries that putting any two of ’em together almost immediately results in a great scene. And the fact that the worldbuilding and big themes of the series are so compelling but still leave miles of room to explore means that the door’s wide open for fantastic new stories. I’m honored and thrilled to join the crew and can’t wait ’til you see what we have planned. Interior art for the series will be handled by Dan McDaid (Judge Dredd) while Firefly creator Joss Whedon will act as a story consultant on the project. Firefly #1 comes exclusively to comic shops on Nov. 14. The idea of seeing entirely new star systems, characters and organizations within the Firefly universe is epic indeed, and a safe bet to tantalize longtime fans and newcomers alike. In the transition of the license between BOOM! Studios and Dark Horse Comics, BOOM! 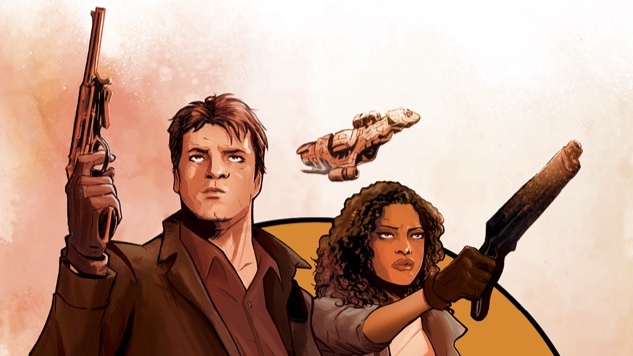 wants to keep the world of Firefly comics intact, so they are releasing a series of collections that will fall under the moniker of Firefly Legacy Edition. These collections will feature all of the previously published Firefly comics that were released by Dark Horse. 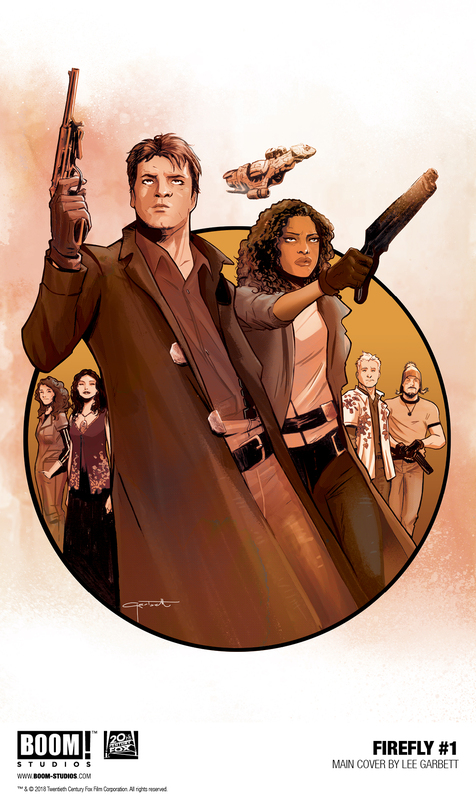 See the uncropped Firefly #1 cover art by Lee Garbett (Skyward) below. For more on Firefly, check out our list of the best sci-fi/fantasy series that were canceled too soon here and our list of the best licensed board games here.